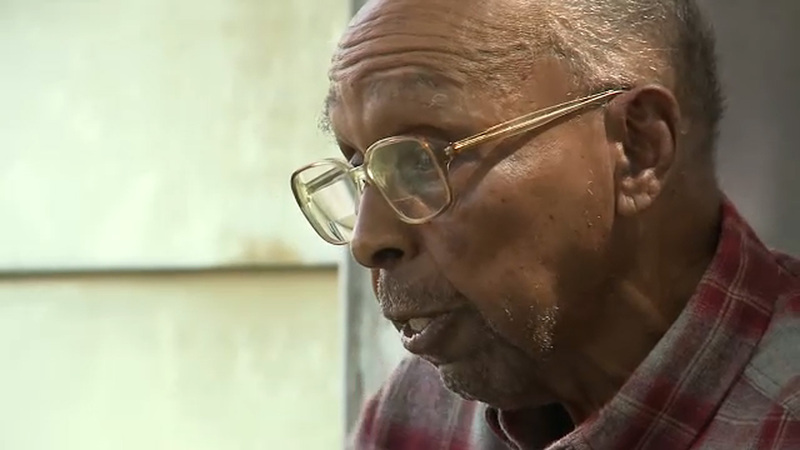 TENNESSEE -- There are calls for an investigation after a 91-year-old man was handcuffed by police in Tennessee for waving around a stick. His daughter calls the encounter "unacceptable" and says there's a good reason her father, Otha Thurmond, was moving his arm that day. "The neighbor that lives around the corner, she called me yesterday and told me that my dad was on the TV," Lillie Wilborn said. "And I'm like, what happened? Because we didn't know about it." Neighbors say officers were aggressive with Thurmond as they put him against their cruiser and cuffed him. "It was very disappointing the way he was treated," Wilborn said. Police say it all started when they were called to the neighborhood for a disturbance. Thurmond, who's lived in the neighborhood for 50 years, was outside and told not to worry about the police activity. But police say he started to wave a stick around in an "aggressive manner" toward the officers. That's when they detained him, took away the stick and handcuffed him. His family says he uses the stick to walk around the neighborhood and keep stray dogs away, and that he also has nerve problems that cause his odd arm movements. "He has three pacemakers, and he's got macro degenerative," Wilborn said. "And he can't hear, and he told them that." Thurmond was released with a citation, but he prides himself on never being in jail or even getting a traffic ticket.